Rhiwlas near Bala will be home to the Eisteddfod when it visits Meirionnydd in 2014. 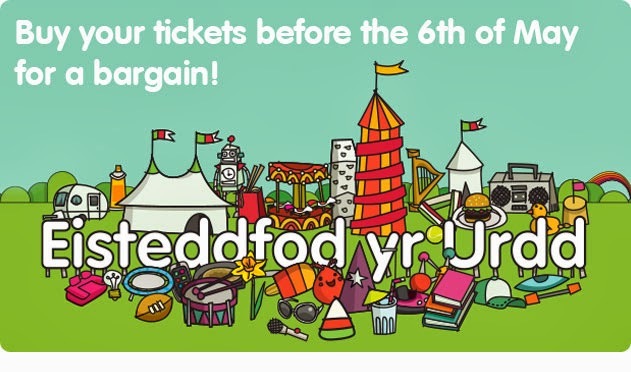 The Urdd National Eisteddfod, one of Europe’s largest youth touring festivals, attracts around 100,000 visitors each year, and will once again be held during Whitsun week at the end of May - 24th to 31st. Over 15,000 children and young people will be competing during the Eisteddfod week in various competitions such as singing, dancing and performing. They are the elite few, from around 40,000 competitors across Wales, who have won their place following local and regional rounds. The 1,800 seater pavilion, where all the competitions are held, is the hub of the Eisteddfod but surrounding the pavilion there are around 200 colourful stalls and a range of activities for the family - from biking, climbing and sport sessions to a fun fair, live bands and celebrity children’s shows. Why not book your holiday at www.garreggochcaravanpark.co.uk for this festival?